Editor’s Note: Part One laid out the organization of American airborne formations. Some of the new counters have a glider badge. This similar to the parachute badge found on the regular airborne counters. In the game it is mostly a distinction without a difference. The purpose is for times when a command segregation or unit type difference may be required by special rules. Everyone is familiar with the parachute symbol on the current airborne counters. It has been part of Panzer Grenadier since Battle of the Bulge was published. There are however some counter representations which do need to arrive by glider. These units are marked with the glider symbol. Units with the glider symbol must arrive by glider. Parachute units may also arrive by glider, but glider units may not arrive by parachute. 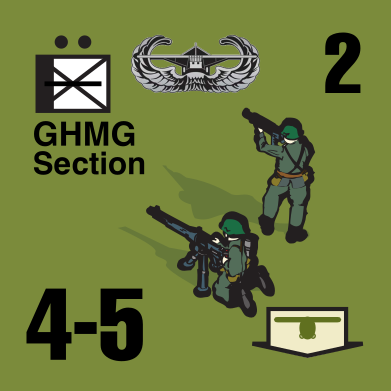 The glider HMG sections are one-step units which may combine to form a full platoon, or they may join a reduced para HMG or a GHMG to reconstitute it to a full strength. 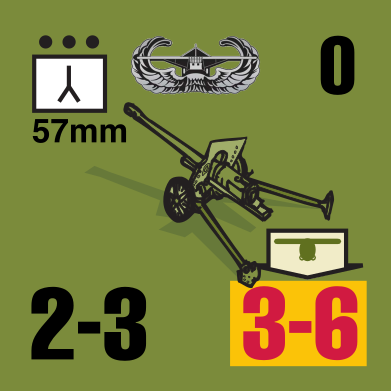 They have the full-strength morale value in their native form, but when combined with another section or reduced machine-gun, the resulting counter is like any other two-step unit. If using GHMG sections violates one’s sensibilities, consider giving each glider regiment three full platoons instead. Artillery: The 75mm guns are the cousins of the same howitzer found in An Army at Dawn. 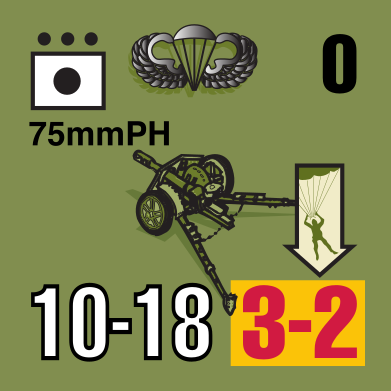 The 75mmPH is the pack howitzer, used by airborne and Marines throughout the war. It is intended to be broken down and carried by its crew or loaded on pack animals. 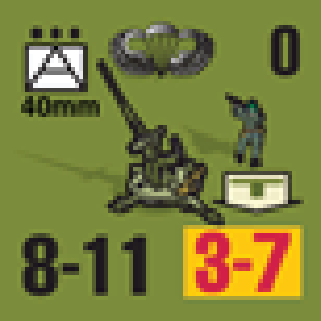 The other 75mm is a slightly modernized version of the gun which went to war in 1942. The 105/M3 made its debut with the 36th “Texas” Division download. They were part of the Army’s quest for an infantry support gun, but in the end the M3 105mm was viewed more as a light howitzer, often being used alongside their larger M2 105mm cousins. 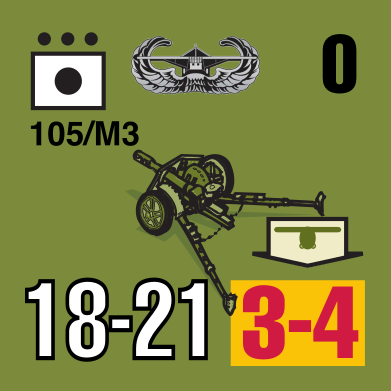 The M3 guns were adopted by some glider artillery battalions, such as the 320th in Normandy, to enhance their firepower. Antitank: The 57mm antitank gun is not the ubiquitous gun we have all come to know and love. Rather it is a reworked version of the early British 6-pounder on a lighter carriage. Still it was too heavy for parachutes. Glider infantry got two batteries in each regiment, along with jeeps to pull them. The man-pack version of the 37mm gun lingered with the paratroopers until well into 1944 because it was airdroppable. By mid-1943 crews for the 37mm AT gun were being retrained as bazooka teams, yet still the 37mm was officially part of the TO&E until after D-Day. Machine Guns: Glider troops were equipped with the M1917 .30 caliber machine-gun. It is the water-cooled gun seen on the cover of Invasion ‘44. It is capable of longer sustained fire than the M1919A4 carried by the paratroopers. It’s mounting gave the gun a more stable firing platform. Glider troops were supplied with a two-gun section for each company, as well as a full platoon in the support company. Antiaircraft: The 40mm antiaircraft gun is technically a paradrop unit, even though it must be delivered by glider. The gun is the exact same as the 40mm AA gun used by the rest of the army. While probably not used in airborne assaults, it was certainly part of the ground deployments. The .50 caliber antiaircraft machine-gun was an airdroppable weapon. Unlike its HMG counterpart, it is mounted on a cross-base pedestal. This leaves the weapon with an irritatingly high profile for ground combat. The unit limbers and unlimbers like any other antiaircraft gun. Once broken down, the .50 AAMG is fairly mobile. 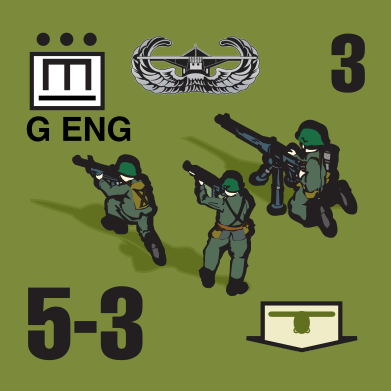 Engineers: Para engineers are nothing new to Panzer Grenadier. They came into existence with Airborne and Battle of the Bulge, but disappeared afterward. Now they are back, sort of. Glider engineers are a little different in that they are armed and equipped like those of the regular army. The biggest ground difference between the types is the larger support section in the glider engineer platoon. Players prone to experimental and custom scenarios will have no trouble finding uses for the airborne troop expansion. Driving in to the southern flank of The Bulge, defending the highway to Arnhem, supporting Patton at Metz, and on and on. 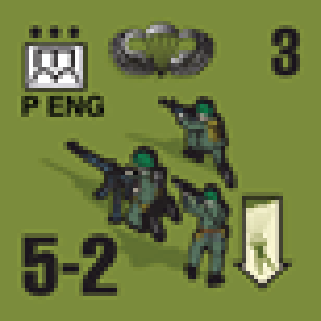 For those who would rather use established scenarios, United States Paratroopers have appeared in13 games and expansions of the Panzer Grenadier series. 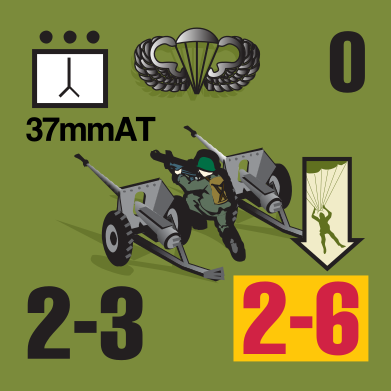 82nd “All American” Airborne Division, the oldest, appears in 39 scenarios. 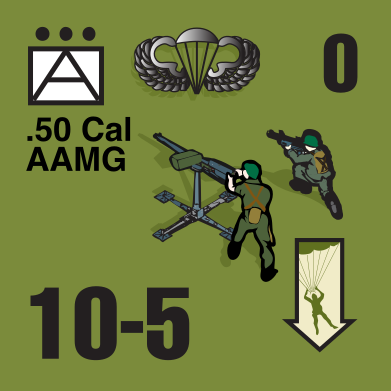 101st “Screaming Eagles” Airborne Division appears in 56 scenarios. 17th "Golden Talon" Airborne Division appears in 10 scenarios. 11th "Angels" Airborne Division, the guys in the Pacific, make three appearances. 509th Parachute Infantry Battalion, who made the first combat jump in 1942, has a scenario in Elsenborn Ridge. 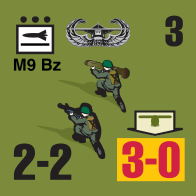 551st Parachute Infantry Battalion also has a scenario in Elsenborn Ridge. There was one other unit, the 517th Separate Parachute Infantry Regiment. By the time it makes its appearance in Panzer Grenadier, it has become a component of the 17th Airborne. Surely they will appear in more. Be prepared. You can download the new pieces here. Click right here to order Elsenborn Ridge. Click right here to order Invasion 1944.